"Sheriff! You are violating my territorial bubble!" Before he was the king of the geek world and the heir apparent to Spielberg & Lucas, Peter Jackson was a journeyman director working on low budget, gross-out horror comedies like Braindead & the perverted puppet film Meet the Feebles. With 1994's Oscar nominated Heavenly Creatures, however, Jackson showed he could do more than just pile on the gore; He and partner Fran Walsh could create great character-driven stories that were enhanced by visual effects rather than reliant upon them. His last film before he devoted his life to big budget adaptations like The Lord of the Rings, King Kong, The Lovely Bones & The Hobbit, was the 1996 Michael J. Fox horror comedy The Frighteners. The film was a box office failure when it was released that summer, despite an ad campaign that really played up the fact that its Executive Producer was Robert Zemeckis (it only ended up earning back a little more than half its $30 million production budget). Watching the film again now, it's easy to understand why the film was not a commercial success, but it's also plainly obvious why the film has a ton of ardent admirers, myself among them. Supernatural con man Frank Bannister (Fox) is trying to eke out a living in the small California town of Fairwater. Due to an accident years earlier that left his wife dead, Frank can now see ghosts walking among the living. He uses several of them (Chi McBride, Jim Fyfe & John Astin) in a scheme to bilk money out of poor, unsuspecting people. Things begin to take a turn for the bizarre when Frank notices numbers appearing on various people's foreheads, just before they turn up dead. Frank becomes a suspect because of his close proximity to each victim, but he can see the cloaked spirit that is killing these people, and sets out to find out the truth. 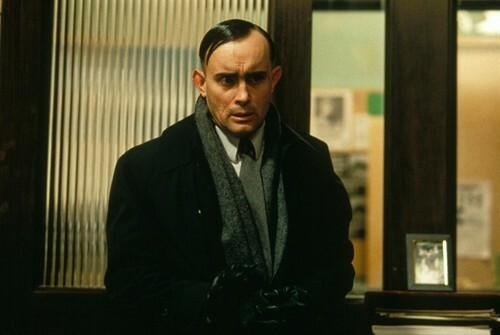 It isn't long before the FBI gets involved, in the form of a creepy, derelict agent by the name of Milton Dammers (Jeffrey Combs). 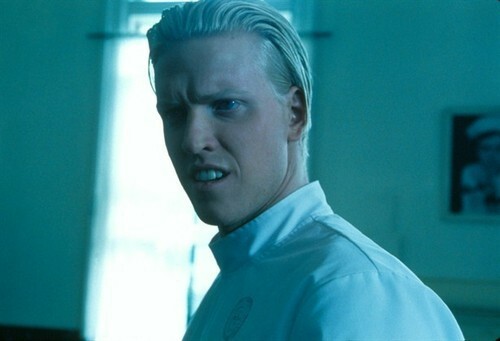 Along with the help of a local widow (Trini Alvarado), Frank uncovers a plot that may tie back to a serial killer that used to live in Fairweather by the name of Johnny Charles Bartlett (Jake Busey). The thing that stands out most about The Frighteners is the fact that it seems almost designed to be a cult classic. The performances are all over-the-top and borderline hammy, which likely prevented the film from being a huge mainstream hit, but certainly now helps to cement it as a b-movie throwback. There's a malicious spirit at work on the film, the kind of spirit that is conspicuously absent from Jackson's work since this film. There are hints of it in the Lord of the Rings trilogy, but there is a sense that King Kong and especially The Hobbit are the work of a director not having much fun anymore. Much like the early work of Tim Burton, Jackson always somehow managed to do more with less. As his budgets have increased, the wonder has diminished from his films significantly. Now, I understand that his films have gotten much more high minded than the ones he made early in his career, but nothing in any of his subsequent films has equaled the sheer, unbridled ecstasy on display when he had the main character in Braindead fire up a lawnmower & literally mow down the undead. 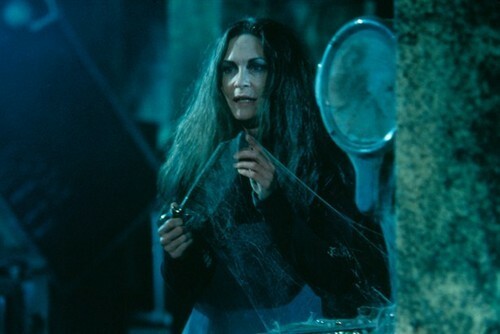 The Frighteners is most assuredly a kindred spirit to Tim Burton's Beetlejuice. The ghostly horror-comedies would make a fantastic double feature. This film's biggest detriment however is that, unlike Burton's film, this one doesn't have a centerpiece character like Michael Keaton's Beetlejuice to make the film an instant classic. The antics of the various comic relief ghosts like McBride, Fyfe & Astin are funny, but in a much different way, and are not likely to be the most memorable thing about the film for most viewers. As I mentioned earlier, the film's performances range from the more reserved (Fox & Alvarado) to the flat-out over the top (Combs, Busey, & Dee Wallace Stone). Overall, they add up to a fantastically realized world that makes the film a delight to return to again and again. In 2005 Jackson released his director's cut of the film, and this was my first time watching this cut (which incorporates 14 minutes of deleted and extended scenes back into the film). I prefer the theatrical version, but some of the extra scenes with McBride, Fyfe, & particularly Combs are entertaining. Despite the film's low budget aesthetic, the visual and makeup effects still manage to score. They're not ground breaking, and many of them bear the hallmarks of executive producer Zemeckis (Death Becomes Her) & make-up artist Rick Baker's work (An American Werewolf in London). It most assuredly feels like a ramping up of the effects people of WETA to their much better work on The Lord of the Rings however, and isn't likely to impress the younger generation raised on cgi everything, but those of us that can appreciate old school and practical effects will find a lot to love here. It may be years before Peter Jackson grows weary of special effects extravaganzas, or it may never happen at all, but I sincerely hope that if and when he does, that he returns to making films like The Frighteners. The film may not be on the cutting edge of storytelling or visual effects, but it's very clearly the work of someone who loves what they're doing. 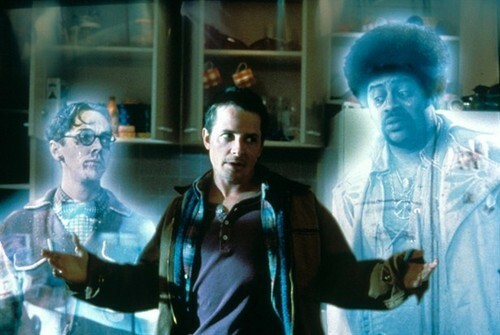 If you haven't seen The Frighteners, you're truly missing out on one of the great genre flicks of the 90s. It may not be the most revelatory film you'll ever see, but I sincerely doubt that anyone who's a fan of horror comedies and b-movies would dislike the film. In fact, I'd be willing to bet it'll be an instant classic to such folks.